Enlisted! is on its critical 3rd air date after the pilot episode. Will it be chopped? Or, will it survive to serve up weekly TV fun to its military and civilian audience? Some might even hope the guffaws might bridge the gap between those camps. One MilSuccessNet team member shares the impact of another, groundbreaking military themed show. It was an imperfect depiction that was somehow the right dose of military medicine to help heal America at the time. That weekly ‘sitcom’ let us all pretend that one, older war was actively being fought in our living rooms. Meanwhile, so many veterans were just beginning to crawl out from under the crush of a much fresher war, and trying to find their way ‘home’. M.A.S.H. aired from 1972-1983 and from my earliest memory the cast was a part of my Family. Born in 1972, who knows when I started actually taking in some of the humor. Cross dressers, affairs, illegal gin stills and the list goes on of antics that shouldn’t be processed by the young mind. On that note, in defense of loose parental controls, the issues addressed by M.A.S.H. both at the individual and societal levels, are remarkable. 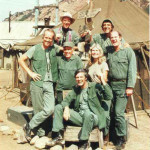 As the discussion of the Fox series “Enlisted” trends in military channels keying in on what is regulation and what is accurate – I can’t help but think of the volume of inaccuracies in the long running M.A.S.H. Did it matter in the long run? Did the writers and producers offend Korean War Vets? Did it speak to the generation fresh from the rice paddies of Vietnam? One has to wonder, how many veterans were able to process their post-traumatic stress through the humor amidst the horrors depicted through the TV series? 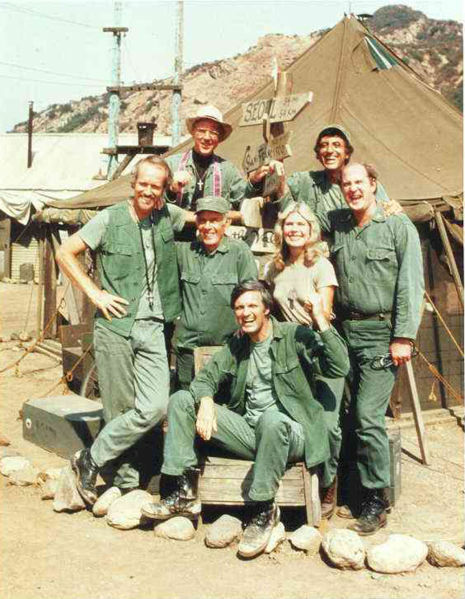 I don’t think “Enlisted” will capture the societal issues facing this generation of veterans but I would hope the writers would pursue some of the themes introduced into M.A.S.H. Hawkeye’s pursuit of justice no matter what the consequences always stuck with me. After serving more than two decades in the Army, I still can hear the banter between the two Captains debating the actions that must be taken on what is right over what is regulation. The blatant insubordination, the usurping of authority and the violation of almost every article in the Uniformed Code of Military Justice (UCMJ) clearly would not be acceptable in a functioning unit. In order to get after the serious issues, the writers chose to offer up caricatures of enlisted and officers of the 4077th. Yes, it does bother me, if there’s a blatant disregard in representing our men and women in uniform but I can also appreciate the fact that it is a comedy. It is not supposed to be 100 percent accurate. No matter how many military advisors the show “enlists” it will never be perfect. All you have to do is go to the military exchange on post and you can see many of the same violations. Reality is not perfect, and it shouldn’t be expected in a comedy. On that note, there is a lot of good that can come from the recent focus on Enlisted, for all its viewers; service members, civilians and media. Now, in homage to my favorite military comedy, I want to share with you the final scene of the M.A.S.H. Freedman: You had to get it out in the open. Now we are half way home. In my own opinion, I would caution the producers of “Enlisted” in getting hung up on the minutiae of what is the “standard.” I would hope they recognize they have an opportunity to speak to a nation of viewers who, at best, have difficulty identifying with this generation of veterans.